I fancied doing an outfit post. It's been a busy couple of month of events and work. 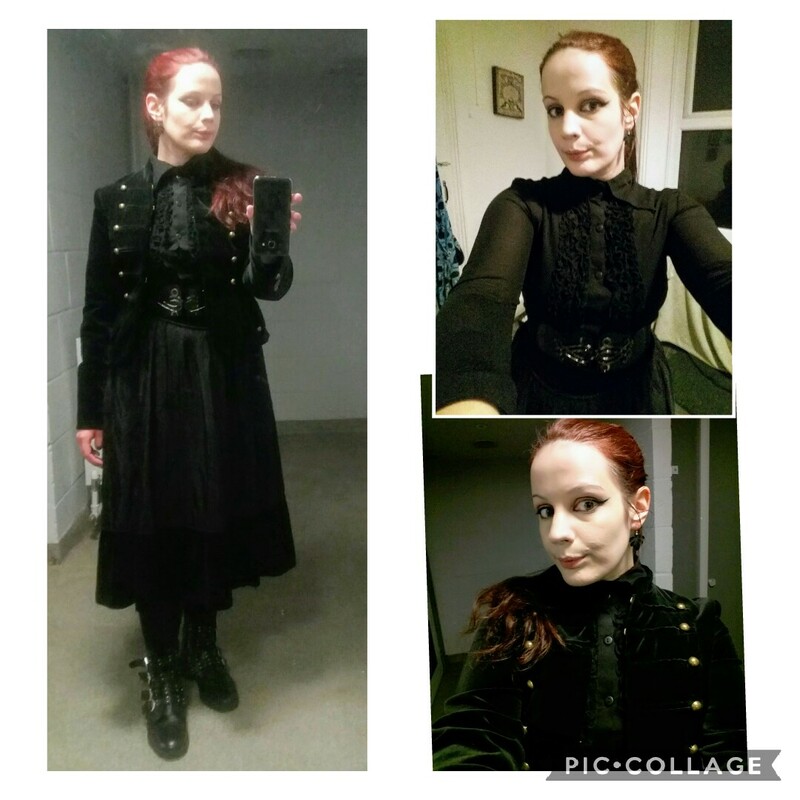 I haven't forgotten to take some photo of my exciting outfits, but not all. 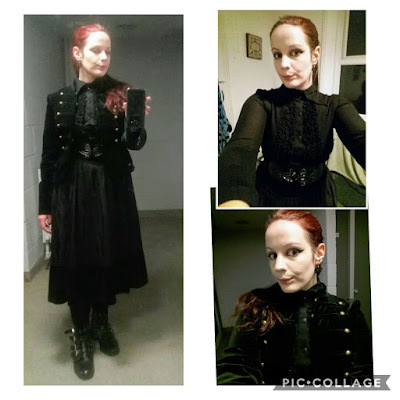 I like to state in previous posts, most my outfits are sourced by Geordie Goth creations (translation sewn by me because I'm a tight git), obtained via charity shops, or stuff I've had lurking in my wardrobe for ages. 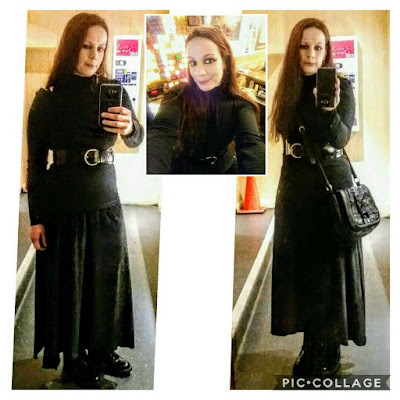 I wore this outfit when I meet up with a friend and to see a couple of reading of two plays. We went to a tea cafe with over 250 teas, heaven. The jacket was from Primark but had since I was a teenager, I just stopped growing after 13. The skirt was found in a charity shop when I was a teenager. The ruffled blouse was another charity shop find. The belt was from eBay and the boots were Kurt Giger. This was my outfit for Halloween, attending the Literary Salon Fight Night I felt like letting my inner gothic Stevie Nicks, I just adore her timeless style. 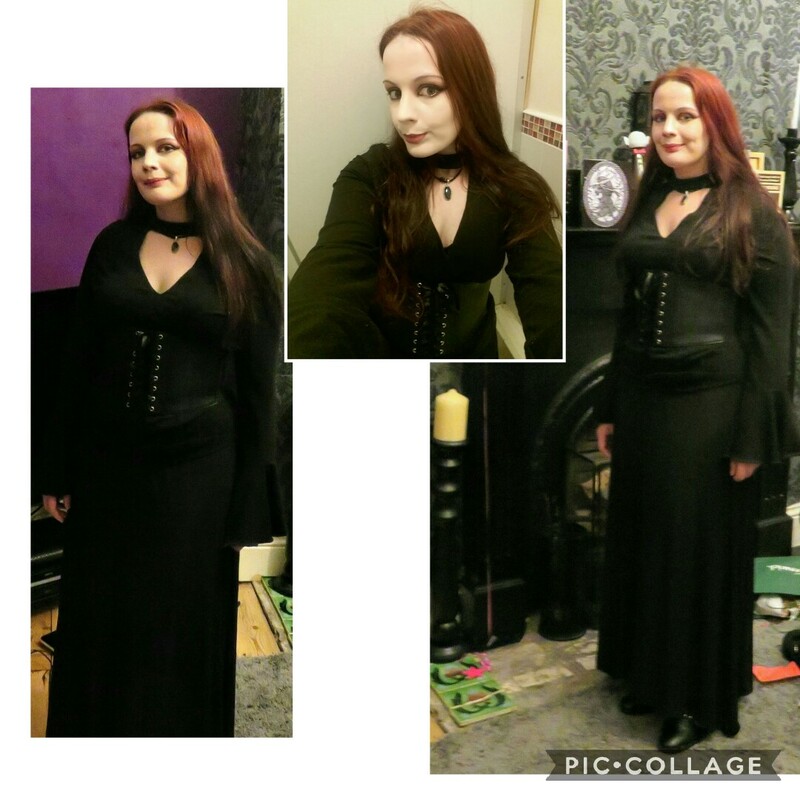 The top and boots were from a charity shop. The skirt was from a car boot sale. This I wore when I went out with my partner for coffee and cake. I love my carrot cake. The top sewn by me made using McCalls 7657 Top B I made this from Viscose Jersey, I'm releasing it's worth investing in higher quality fabric, especially jerseys. The skirt was sewn by using my 20p Prima sewing pattern that has understated handkerchief hem. The boots and belt are from Primark. 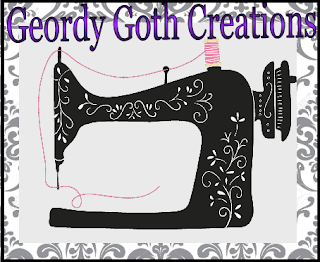 At some time I will do a post about my recommendations fora sewing patterns to build that epic goth wardrobe. I haven't had the time or gotten around to it. 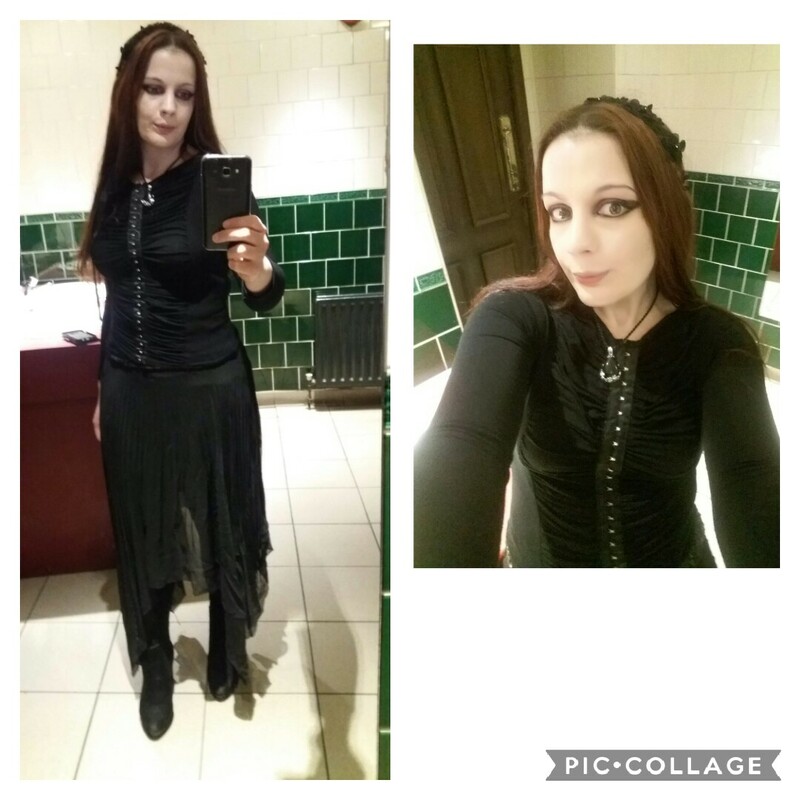 This outfit I wore on a Friday night of the Leeds Goth City Festival. The top and skirt were both charity shops. The belt is definitely one of my favourites, again £4 from Primark, it looks very similar to Kill Star one I saw. I love leggings, I now rarely wear tights, if not I only wear Marks and Spencers usually obtained on the cheap. I stoke it lucky occasionally with Primark, for tights most the time their crap. Definitely worth spending that bit extra, I've had one pair for over 11 years I got on sale. I'm a terrible hoarders. Hello lovely. I'm not sure why but your photos aren't displaying on this post? Might just be me! Jane. I'll check out sorry about that. Geordie Goth Creations, I love that. Seriously you should sew in custom labels, make it official. As always, lovely outfits. Thanks. I'm always surprised how many people seem to like my style. I often feel it can be a bit bland in comparison to the Uber Goths. I like something that can be decorative and practical. I probably should. I've even may be consider making a couple things to see if I could sell, but overall I'm too lazy and have a lot on at this time. I'm not really bothered about creating label. I'll keep that idea in minds.